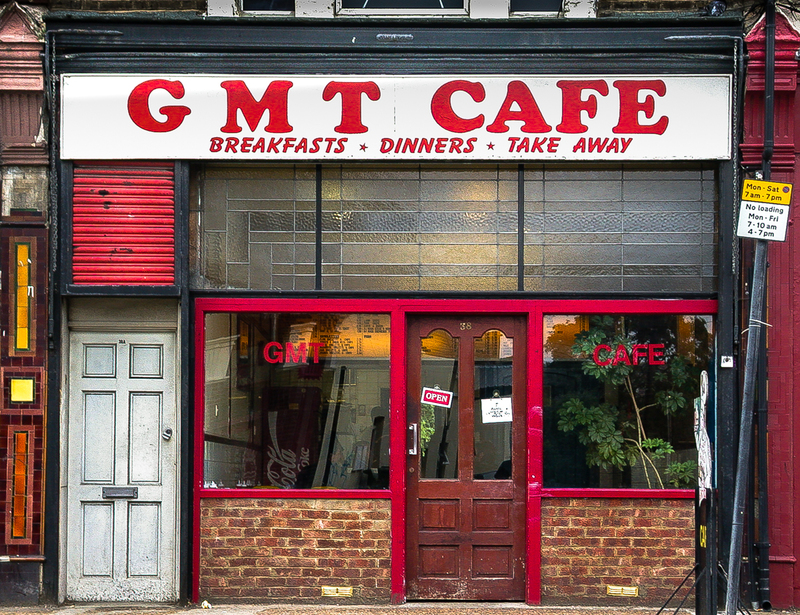 GMT Cafe, 38 Woolwich Road, Borough of Greenwich, London SE10, 2002 • Classic greasy spoon named after Greenwich Mean Time, which originates nearby. 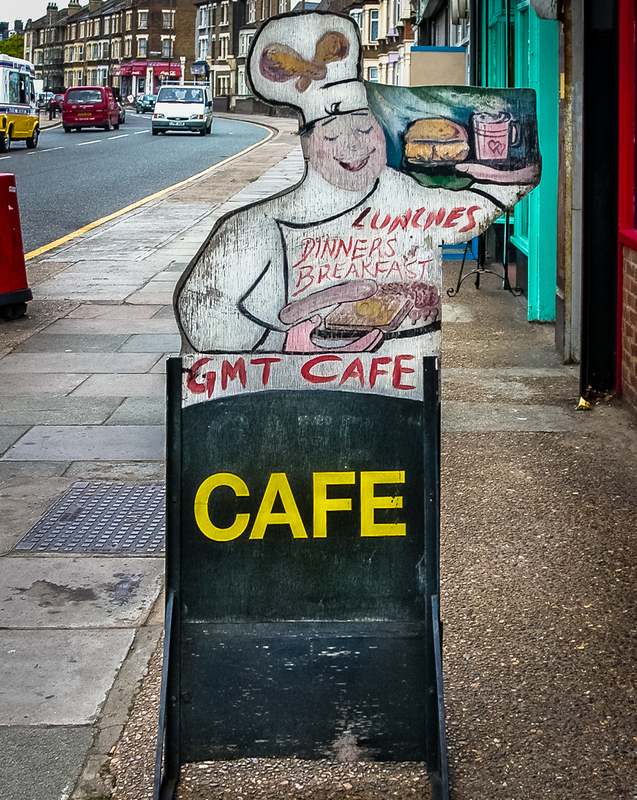 (Note also the naive cheery chef signboard, bottom pic.) The caff was still there, and looking much the same, in 2017.